This History primary resource introduces children to Aztec civilization. Discover fascinating facts about Aztec life. How did the Aztecs live? Where were they found? What were they known for? Pupils will learn about how the Aztecs excelled at farming and agriculture, and what made them such good warriors in our National Geographic Kids’ Aztec primary resource sheet. The resource includes information on: Aztec gods, rulers, priests, temples, the Aztec empire and Aztec calendars. The teaching resource can be used in study group tasks for evaluating evidence and archeological artifacts, as a printed handout for each pupil to review and annotate, or for display on the interactive whiteboard using the images included in the resource for class discussion. Activity: Ask children to choose one of the subheadings in the resource and use the information and their own research to create their own comic strip based on that topic, like the Life as an Aztec comic. They could also design their own Aztec calendar in the style of the colourful patterned design in the resource sheet. Children could also complete the Aztec puzzles. 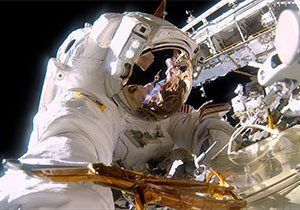 Head out of this world with the Science Museum! Experience Earth like never before! 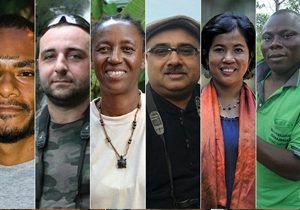 Meet some incredible conservation heroes!